Spain’s national dish is often said to be paella, a tasty rice dish which is a rich golden colour, thanks to the addition of saffron. However, many ingredients which we think of as typically Spanish were introduced by the Moors hundreds of years ago. When examining the Moorish influence on Spanish cuisine let us first start with the herbs and spices they brought to Spain. The Moors introduced a diet rich in new and exciting flavours. Mint became a popular choice and was used extensively in the preparation of meats. Rice in fact is another introduction from across the Straits and soon grew in popularity from a luxury food to an everyday meal. 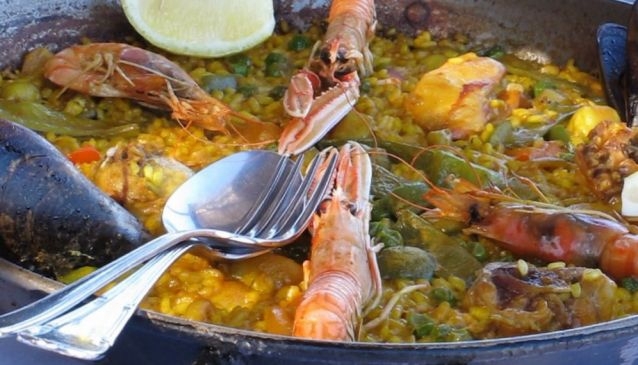 Paella is in fact of basic Arab origin, although we associate it with Valencia rather than Andalucia as the Moors planted rice in this area. 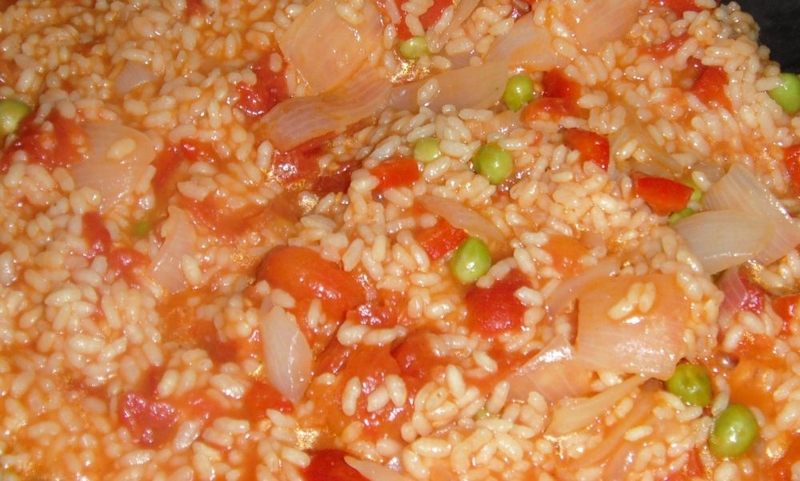 Rice is still grown in Pego and the Albufera, near Valencia, as well as further south in Murcia. Indeed no paella dish is complete without saffron and some of the many different sorts of vegetables introduced by the Moors - carrots, artichokes eggplant, spinach and courgettes. Good solid lentil-based dishes were also a welcome addition. Citrus fruits such as lemons, oranges and apricots were also cultivated by the Moors in Spain. The Moors also introduced new techniques of food preparation such as pickling fish in vinegar solutions. Salt crusted baked fish was yet another Islamic tradition adopted by the Spanish and it was the Moors who introduced the concept of three course meals at social gatherings. Moving on to nuts, the importance of almonds was also imported from the Moors. Vast almond groves were planted in Spain where they settled and some of these areas are still growing the same crop today. 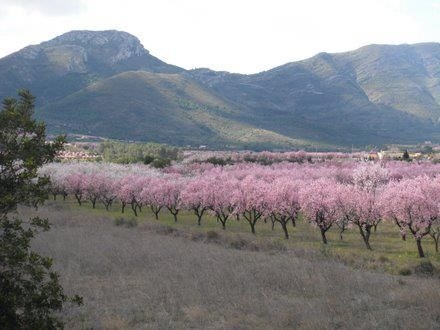 In Spring, the Jalon valley in the Alicante region is a glorious canvas of pink and white from the blossom on the almond and orange trees. The scent is gorgeous too. There is an ancient folktale dating from the time of the Moors which tells the story of the Sultan Ibn Almundin who longed to make his beautiful wife Gilda smile once more. Gilda had been a slave of the Sultan and when he fell in love he freed her from captivity in order to marry her. Gilda came from a snow-covered land far away in the North and longed for snow everyday. The tale recounts how the Sultan asked a poet how he could make his wife smile once more and the poet told him that he must bring her snow. The Sultan, knowing that this would be impossible, sent for almond trees to be brought from his lands and planted them around the castle. When the trees blossomed they resembled a snow-covered landscape and the Sultan´s wife smiled once more. This is the legend of how almonds were first introduced to the Iberian Peninsula. It is not widely known that it was the Moors in fact who introduced sugar cane to Spain and thus another famous culinary delight - the torta de almendras - is proof of how the Moorish influence and the introduction of almonds and sugar cane revolutionised pastry making in Spain. The pine nut was also introduced by the Moors as a delicious addition to cakes and sauces. Many small villages have their special cakes based on almonds or pine nuts. The turron made in Xixona, which is like nougat, often contains almonds and honey too. With so many culinary wonders and new methods of cookery introduced it is easy to see how this period contributed greatly to Spanish culture and cuisine.